Comedian John Felts joins us today from Wilmington, NC. John is a hit with his audiences because he takes time to research the group and write specific jokes for them. Customizing comedy shows isn’t easy. It takes time and a little bit of courage. But it pays off with huge laughs. John walks us through the steps he takes to get the inside information. He discusses how to implement the material in the show for maximum results. Although he has done this for quite some time, he still is experimenting with ways to make customizing comedy shows even better. We also cover how to produce your own comedy shows. John Felts is the producer of the Clean Comedy Getaway series which features top clean comedians from around the country. We dig into the nitty gritty details of putting that together. 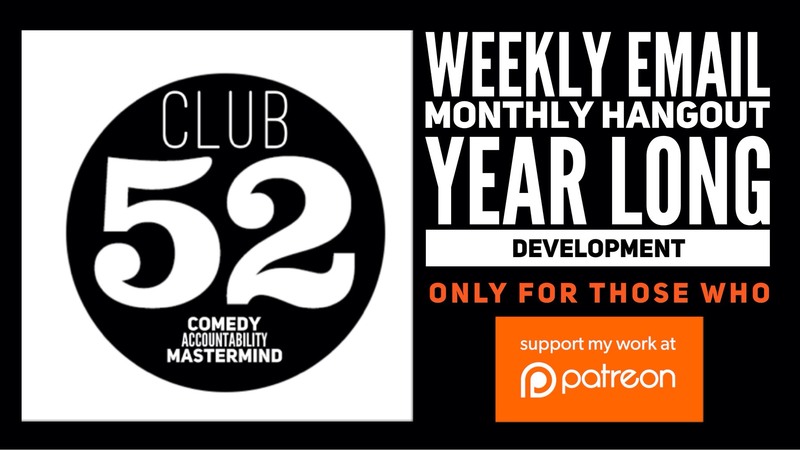 This episode is brought to you by Patreon supporter Jeremy Lee and CLUB 52.